What if your destination wedding was close, as close as downtown Tallahassee? Tallahassee is encouraging couples to plan their destination weddings in the vibrant center of Florida’s Capitol City. There’s so much to do in Tallahassee’s six distinctive districts: six world class hotels, more than 20 fabulous restaurants, historic churches, nightlife for every sort of taste, 10 — count ’em 10!– parks, and even a free night-time trolley to get around town. “You can put together any kind of wedding you might be dreaming about,” says Tallahassee Downtown executive director Jay Revell, who’s spearheading the city’s Say I Do Downtown effort. Want a Southern wedding loaded with grace, elegance and tradition? Say your vows at one of Tallahassee’s beautiful downtown churches, and then celebrate with Southern style in the stately Governor’s Club or at Governor’s Inn. If an urban experience is more your style, Downtown Tallahassee delivers. Boutique hotels like Aloft and Hotel Duval have every modern amenity for guests and the happy couple. You can dance the night away at Hotel Duval’s Level 8, the only rooftop club between Atlanta and Miami. Enjoy the cool atmosphere — and designer cocktails — at w xyz bar in Aloft’s unique open concept lobby. And find even more entertainment in the pubs, restaurants and night life scene in All Saints, Tallahasee’s hippest district. If you want an outdoor wedding in Florida’s spectacular fall, winter and spring weather, Tallahassee’s Chain of Parks is the place to Say I Do Downtown. Ten beautiful parks filled with gorgeous green lawns, dogwoods, azaleas, fountains and more span seven city blocks in the heart of downtown. Find a shady live oak dripping with Spanish moss to tie the knot under and then enjoy an al fresco reception catered in the park of your choice. The great thing about destination weddings is that the locale provides a lot of the entertaining, and that certainly is true in Tallahassee. Your guests will enjoy all the fun downtown has to offer, great shopping, galleries, restaurants, hotels and museums, while you and your beloved host a wedding weekend everyone will remember. 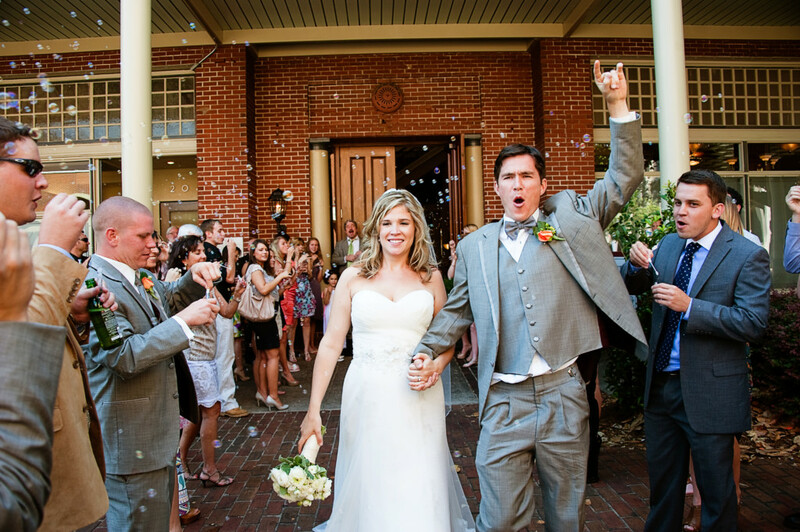 Find out more about putting together a fantastic destination wedding in downtown Tallahassee. sayIdodowntown.com has lots of resources to help you line up everything you need to pull off your dream wedding.